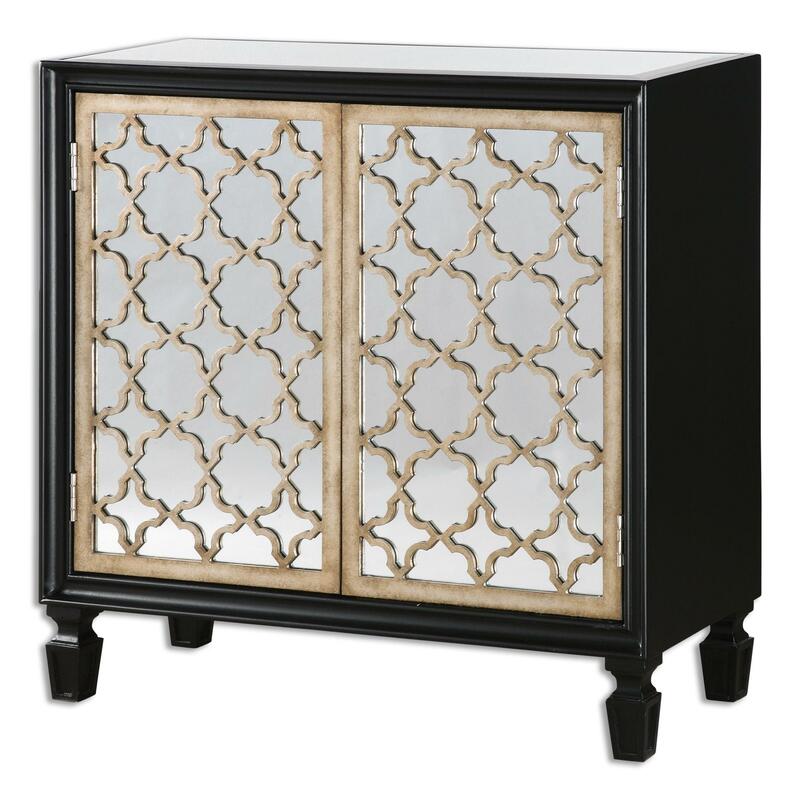 Gloss Black Wooden Case With An Interior Shelf, Featuring Mirrored Doors Inset With An Intricately-cut Quatrefoil Lattice In Burnished Silver Leaf. The Accent Furniture - Chests Franzea Mirrored Console Cabinet by Uttermost at Miskelly Furniture in the Jackson, Pearl, Madison, Ridgeland, Flowood Mississippi area. Product availability may vary. Contact us for the most current availability on this product. Storage Two Doors with Interior Shelf. Browse other items in the Accent Furniture - Chests collection from Miskelly Furniture in the Jackson, Pearl, Madison, Ridgeland, Flowood Mississippi area.